Turn your customers and employees into brand ambassadors! We’re able to put your logo on just about anything; so by getting to know you and what your business is about helps us choose the best products for you that reflect your company’s values. 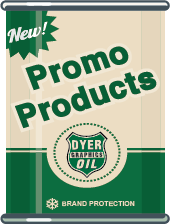 Start searching for your next promotional items today!